What Happened to Auditing the Fed? One of the great political success stories of the past couple years has been the audit the Fed movement. 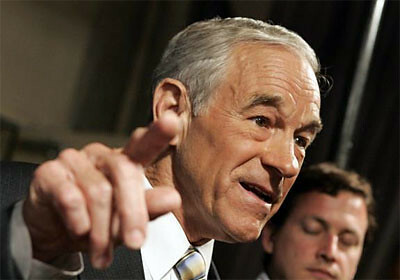 Starting with an unlikely partnership between the far-right Rep. Ron Paul [R, TX-14] and far-left lawmakers Rep. Alan Grayson [D, FL-8] and Sen. Bernie Sanders [I, VT], the push to open up the Federal Reserve to a complete government audit for the first time ever (H.R.1207) has attracted more than 300 co-sponsors in the House and was included in the House’s financial reform bill that was approved last December (see the audit the Fed language in the context of the bill here). But now that financial reform has moved into the Senate, the audit the Fed proposal has disappeared from the bill and there is virtually no talk of trying to put it back in. Instead, the Senate financial reform bill as written by Banking Committee Chairman Chris Dodd [D, CT] includes a section that looks deceptively like a Fed audit, but would actually do nothing to open up the Fed or remove the special audit restrictions that have allowed the Fed to operate in secrecy for decades. For the rest of this article including the provision as it currently exists in the senate bill click Here.